If you didn’t already know, there are some great local breweries in and around the Wildwoods. 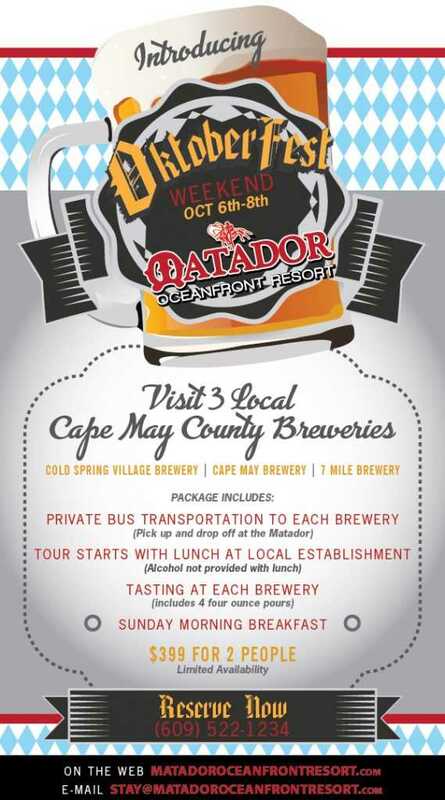 If you’re up for a tour, the Matador Oceanfront Resort and The Harbor Light Family Resort are offering a great weekend package this fall for all you beer-heads out there! Each location offers the same package, but you can save a few bucks if you stay at the Harbor Light, as their location is about a half block from the beach, while the Matador is directly on the beach. Private bus transportation to each brewery. Lunch to start off the tour. Tasting at each brewery (4, 4 ounce pours). 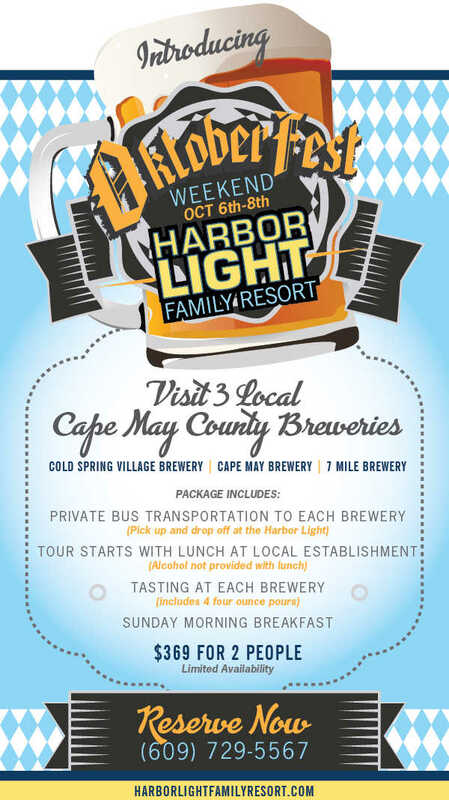 What a great way to spend a fall weekend in the Wildwoods with your friends! Book now, as they are already filling up!